Welcome to Italian Ornaments and the De Carlini Italian Ornaments Collection of Christmas Ornaments! New Italian glass Christmas Ornaments from the Soffieria De Carlini have arrived at The Cottage Shop! We invite you to visit our website and enjoy a great selection of Brand New De Carlini Italian Glass Christmas Ornaments , directly from the Soffieria De Carlini, shipped from Connecticut to your home. 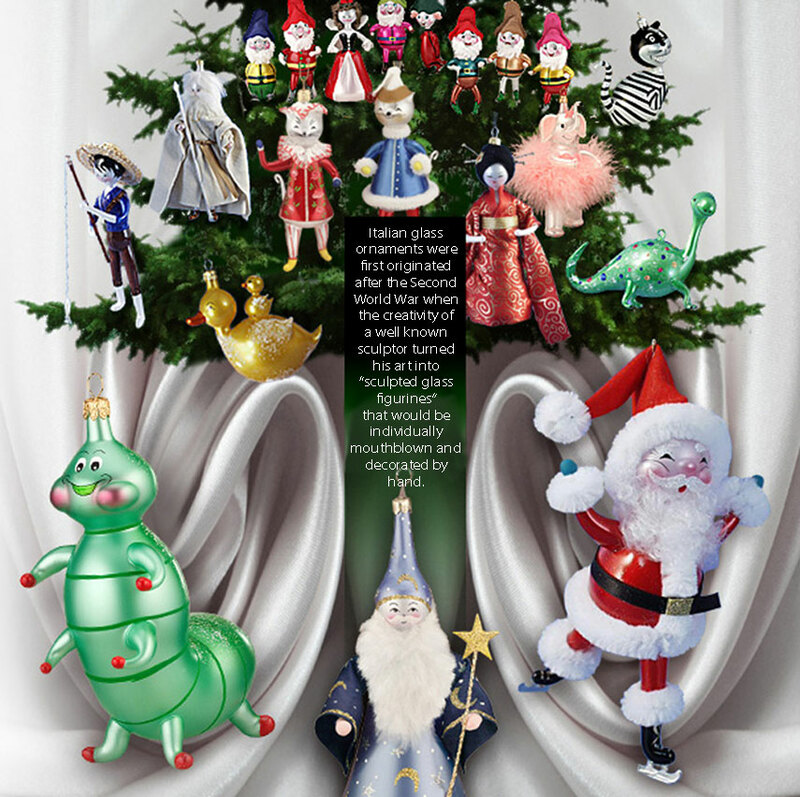 Every year, new De Carlini Ornaments are created working with the De Carlini Family from design to decoration to bring you joy and happiness in that special way that only the De Carlini Christmas ornaments know how to do.